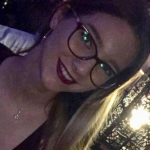 In September 2018, Ellie will be a Research Assistant working on the autism and the criminal justice system project. 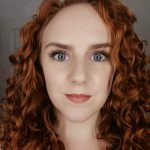 Ellie has recently graduated from the University of Salford with a first-class BSc (Hons) degree in Psychology and has experience in both quantitative and qualitative research. She has a keen interest in Health Psychology, Neuropsychology and Forensic Psychology. Ellie is pursuing an MSc in Health Psychology and is completing stage one training towards becoming a Registered Health Psychologist with the Health and Care Professions Council (HCPC). Ellie has also completed a course in Understanding Autism, Asperger’s and ADHD. Beth graduated with a first class degree in Criminology (BSc Hons) from the University of Salford in 2018. 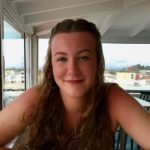 Beth is due to begin the MSc in Criminal Justice Process in September 2018 at the University of Salford and will begin working on the Autism and the Criminal Justice System project in September 2018 as a research assistant. Beth has always had an interest in Autism, stemming from her younger brother’s diagnosis of Asperger’s Syndrome in 2012. 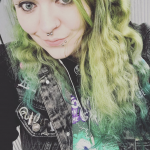 Beth’s interests centre on the working lives of prison officers and she hopes her assistance on the project will aid both her development of research skills and overall knowledge of the topic area. She is keen to learn more about how individuals with an autism spectrum disorder are managed across the whole of the criminal justice system and importantly, how this impacts on prison officers working alongside autistic prisoners on a daily basis. Natasha is a current student at the University of Salford studying towards a Master’s degree in Marketing alongside being a Research assistant on the project. Natasha was diagnosed with autism at the age of 2 and has been actively involved in the world of autism from a young age. Being the only one diagnosed in her immediate family Natasha found it difficult in school growing up with autism but has since excelled academically. Natasha first became involved in the project in 2017 when she applied for a marketing placement within the project. Due to her keen interest in both psychology and the development of research into autism. It is a subject close to her heart and she is proud to be a part of the project. Chris Hilliard has a mixture of both real world and academic experience in criminal law, and a childhood diagnosis of Aspergers syndrome. Chris was brought into the world of law in 2010, when he was wrongfully arrested in the 2010 student tuition fee protests in London. What followed was a crash course in the realities of criminal law, including two trials (one in the Central Criminal Court and another at Kingston Crown Court) before being found Not Guilty. 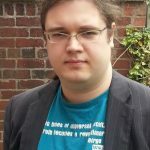 This inspired Chris to start a law degree and get involved with organisations around the criminal justice system, many of whose work is focussed on autism and other impairments. Chris presented at the Autism and the Criminal Justice System Conference in 2016 with Mitzi Waltz, has presented to the National Appropriate Adult Network, and a number of other groups and organisations with the Keyring Working for Justice Group such as prison officers, independent custody visitors, and probation officers. Chris has also worked with a criminal law firm, providing research skills, preparation of evidence for court, and has spent time in court working with a solicitor advocate and their client. Magdalena Smusz graduated with a degree in Psychology and Counselling (BSc Hons) from the University of Salford in 2018. 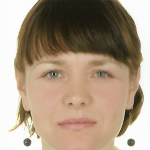 In September 2018, she will start the MSc Applied Psychology (Therapies) course at the University of Salford. Magdalena has always gained a great reward from working with people with various mental and physical needs. She spent a few years holding a teaching assistant post in a primary school, where she supported a special needs boy. She has also been working with young adults suffering from autism. This occupation has enabled Magdalena to understand autism and the needs of people with this condition. Therefore, Magdalena is aware of a great necessity for research in this field to improve autistic people’s lives. Magdalena will be starting as a Research Assistant in September 2018 on the Autism and the Criminal Justice System project. She hopes this research will bring the positive changes to the present situation in this area. Diana is a first year PhD student at the University of Salford. She has a Psychology and Criminology degree (BSc Hons – First Class) and an MSc in the Criminal Justice Process (with Distinction). Having volunteered for a charity working with newly diagnosed autistic children, Diana discovered a passion for autism, and wants to ensure that nobody with autism faces discrimination, especially during the stress of interacting with the police. Her MSc research focused on the welfare and equal treatment of autistic suspects during the criminal justice process, and assessed current policy and training schemes. The PhD research study aims to explore the knowledge and perceptions of autism in police officers, in a bid to identify what works to best improve awareness and understanding of autism. Diana has recently been awarded with the University of Salford Academic Excellence prize in Postgraduate Social studies and is very proud to have been recognised for her academic work. She knows that this research group’s work will improve the lives of autistic people, and prevent violations of human rights and miscarriages of justice in the future, and is very proud to be involved in the ground-breaking work. Zoe Moore graduated with a Master’s Degree in Health Psychology (MSc) from Liverpool John Moores university in 2017, where she also gained a Bachelor’s Degree in Criminology and Psychology (BSc Hons). She has a keen interest in Health Psychology, Forensic Psychology and the Criminal Justice system. Zoe currently works with children with Autism Spectrum and Sensory Processing disorders; this occupation has enabled Zoe to understand autism and the needs of people with this condition. Having previously worked for the Office for National Statistics and with an aptitude for research, Zoe understands how research in this field has the potential to improve the lives of individuals with autism. 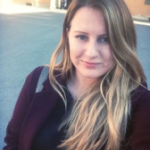 Zoe became a part of the project when she began a PhD with the University of Salford in 2018. Zoe’s research focus surrounds autism in the criminal courts and how judiciary perceptions can influence decision making. Kleio Cossburn served as a police officer with Cheshire Constabulary until her retirement. Since leaving the police force she has graduated with a Master’s Degree in Criminology and Criminal Justice from Keele University and a Post Graduate Certificate in Autism from Sheffield Hallam University. Kleio’s research draws on her experience as a former police officer, as well as her knowledge of autism. 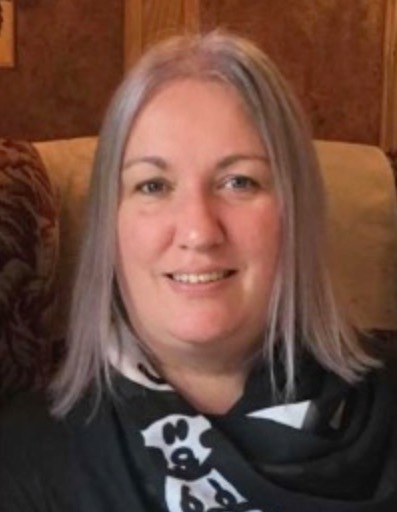 She has been involved in writing a number of book chapters looking at the ways in which police and other emergency services respond to autistic people. Kleio’s PhD will focus on autistic individuals and their families’ experience of the Criminal Justice System.